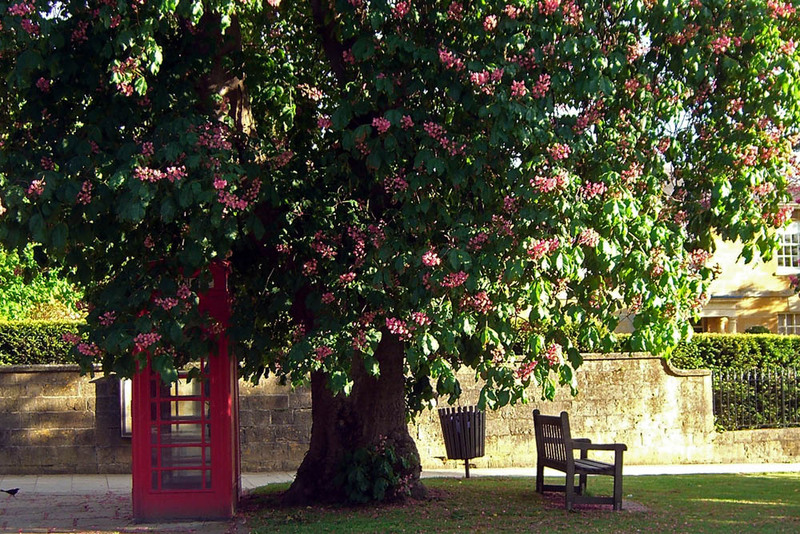 In the United States, phone booths have become a rare sight. They never had the iconic status of the UK's traditional red phone booths. The last time I visited Broadway, in Gloucestershire, this one still stood in the center of the village. It's such a perfect tableau, with that horse chestnut laden with blooms and a bench for waiting your turn. Do people actually use that phone any more or is it only for tourists, a prop for photos, a piece of something so many of us still see as essentially "English?" Maybe that's okay. I hope it remains.